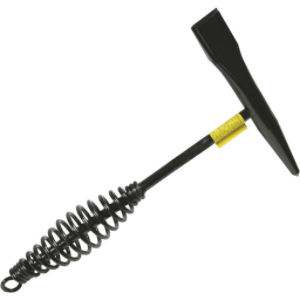 This spring handled chipping hammer is used to remove welding slag. Strong, solid construction with spring handle to provide a good grip and reduce resonance. Head includes a chisel end and point. A heavy-duty model is also available.